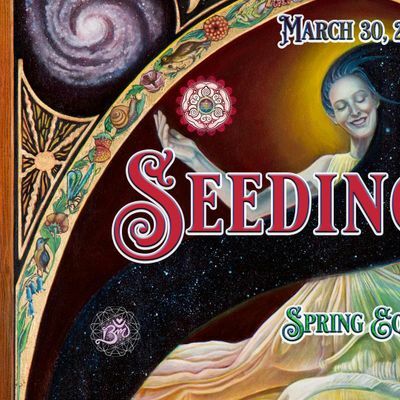 The BrilliantlyMad Collective invites you to our annual Spring Equinox celebration. This year we have teamed up with Que4 Studios to create a three-room magical playground for you on Saturday, March 30th. 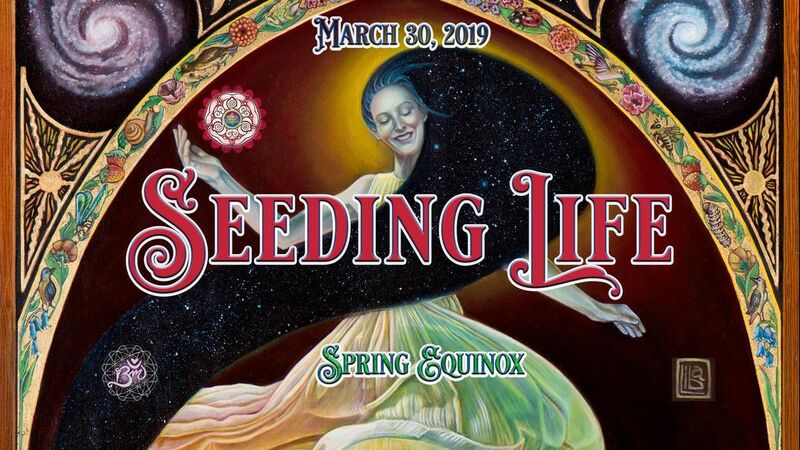 Our intention for this event is SEEDING LIFE - Connecting the intentions of our communities through the Seeds of Life and preparing our fertile soil/soul to vibrate into our collective Flower of Life. Let’s grow our gardens of love together in creative bloom. A functional art piece for creative expression through drawing or writing. Send a note to someone at the event, write down your intentions for spring, draw your seeding life or add to a collective doodle; this whimsical bar will hold space for your creative output. "Our name depicts the true essence of our calling. Quennect 4 is a pathway for organizations, artists, and the independent community to connect with each other and with resources. When we say ‘Quennect 4’ we mean connect the music with art, the politics with people, and the freethinkers with a social setting. Our Spanish prefix “Que” means “what” as in we will connect the people with whatever they need. We will quennect 4 society, quennect 4 the people, and quennect 4 the voices that are silenced by mainstream outlets." Proceeds go to the event space, performers, artists, vegan food, and our upcoming community events. We are planning something special for Summer. **In solidarity with animals, we have chosen to serve vegan food. This is an intention to limit their suffering. Please bring other plant-based dishes to share. Make sure to create an ingredient card to display, which assists those with any allergies, such as gluten, soy, nuts, etc. ***We are also requesting donations of socks/clothes for those less fortunate.